Learn about the living donation process, find support from other donors and potential donors, and honor a living donor for their gift. Interact with other families, remember a loved one, and discover resources to help on your journey. Jumble cartoonist Jeff Knurek is a kidney donor. 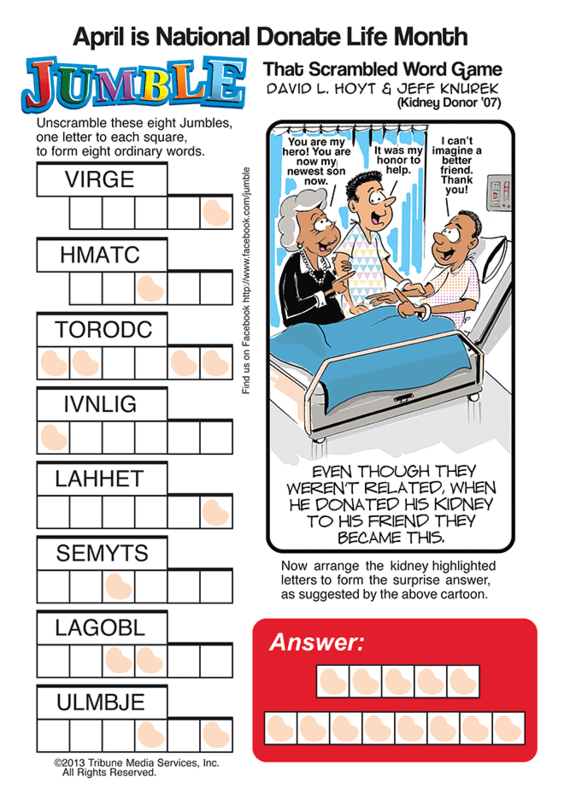 Celebrate organ donation with this downloadable Jumble puzzle.